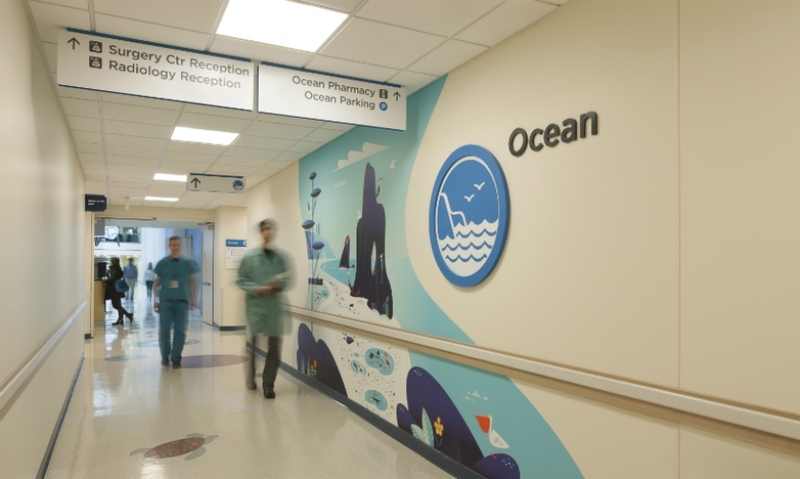 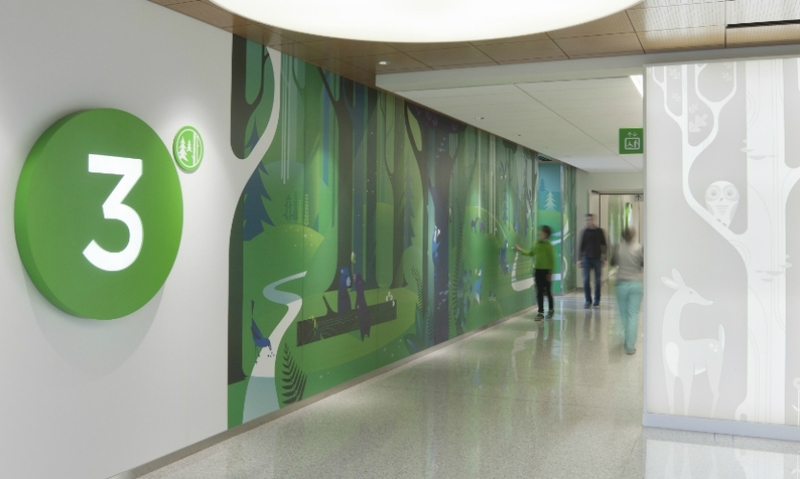 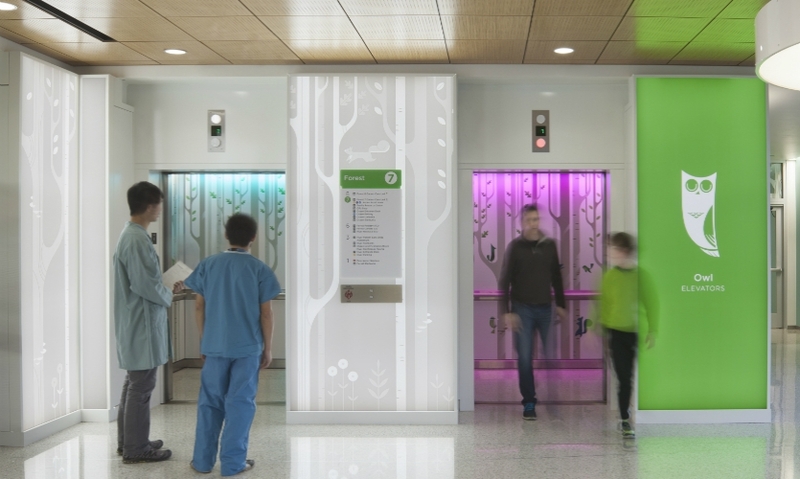 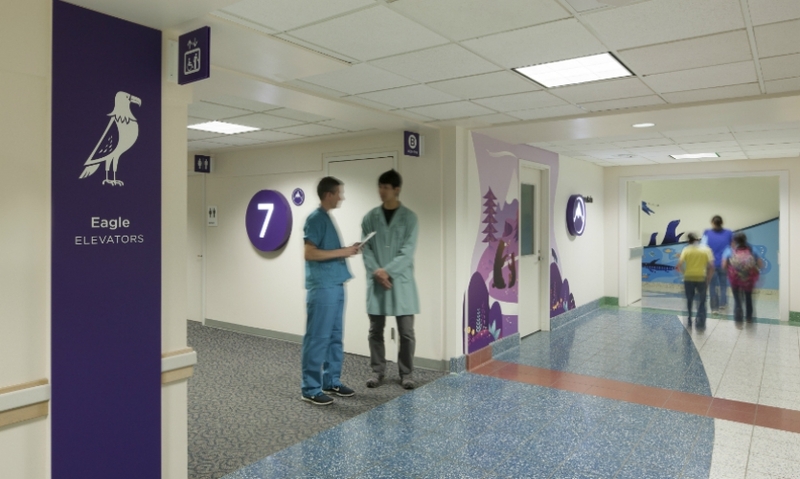 Studio SC created an artful wayfinding program for Seattle Children’s Hospital. 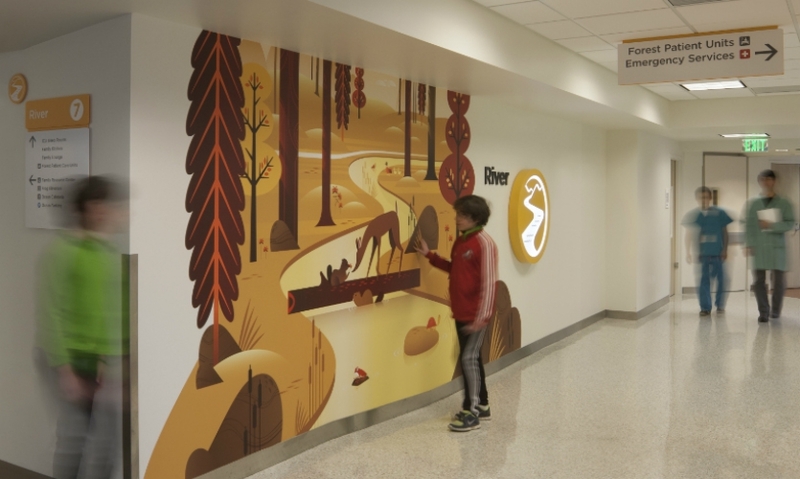 The program helps simplify a complex environment by dividing it into four zones themed around the Pacific Northwest. 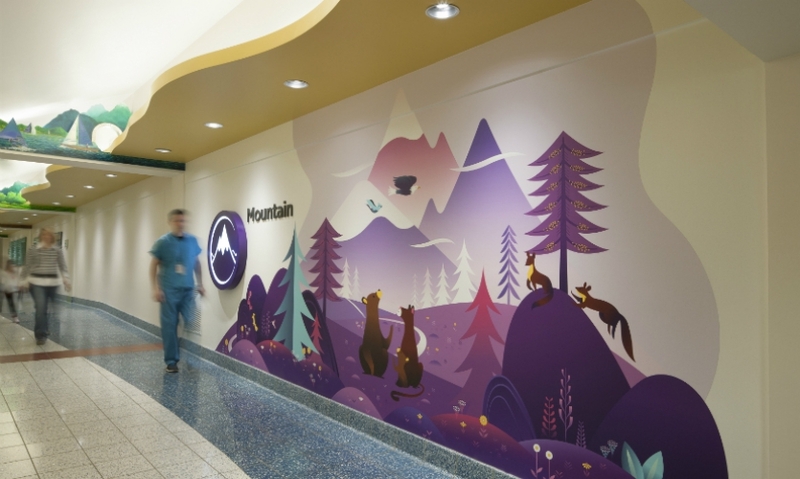 Graphics feature animals and natural elements found in the region. 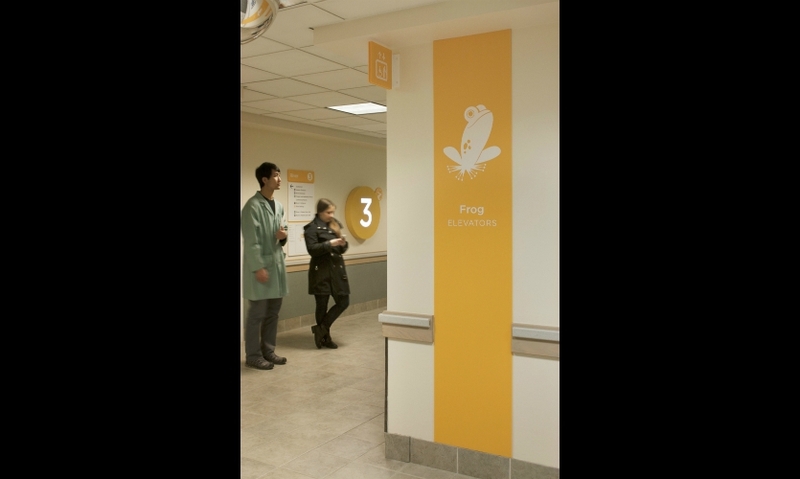 Color-coding and numbering ease stress and help families and care providers navigate the hospital more easily. 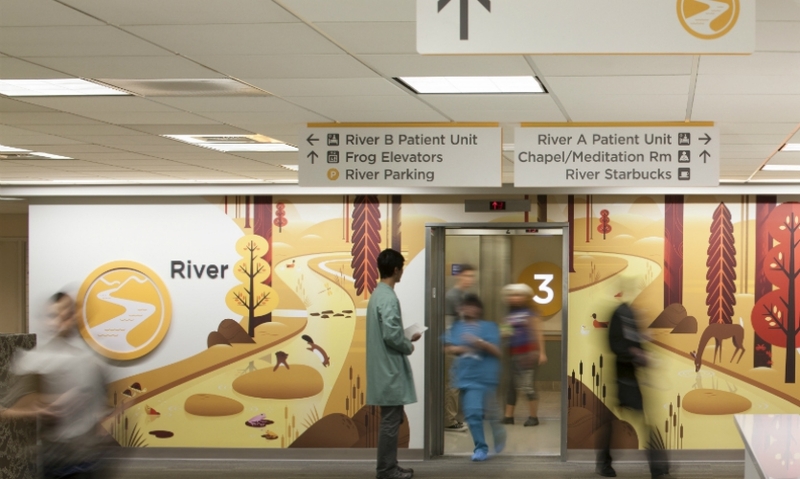 Signage elements including zone numbers and directionals compliment the artwork at the heart of the program.